Is perfectionism a weakness or a strength in the workplace? A meta-analysis of 95 studies and nearly 25,000 working-age individuals, conducted from the 1980s to today, has examined the relationship between perfectionism and factors that impact employees’ effectiveness. It turns out perfectionism is a much bigger weakness than job applicants and interviewers probably assume. The obvious advantages of a perfectionist in the workplace include their strong motivation, willingness to work longer hours and high engagement. On the flip side, perfectionism is strongly and consistently related to numerous detrimental work and non-work outcomes, including higher levels of burnout, stress, workaholism, anxiety and depression. Upon closer examination on the important distinctions about when these effects are more or less extreme, two distinct, but related sub-dimensions of perfectionism – excellence-seeking perfectionism and failure-avoiding perfectionism are identified. Perfectionists can fall into either one or both of these sub-dimensions. Excellence-seeking perfectionism involves tendencies to fixate on and demand excessively high standards. Not only do they meticulously evaluate their own performance, but they also hold high expectations for other people. Meanwhile, failure-avoiding perfectionism involves an obsessive concern with and an aversion to failing to reach high performance standards. These perfectionists are constantly worried their work is not right or good enough. They believe they will lose respect from others if their work is not perfect. Research has shown the beneficial effects of perfectionism are stronger for those higher in excellence-seeking perfectionism, while the detrimental effects of perfectionism are stronger for those higher in failure-avoiding perfectionism. It concluded that performance and perfectionism are not related to each other. 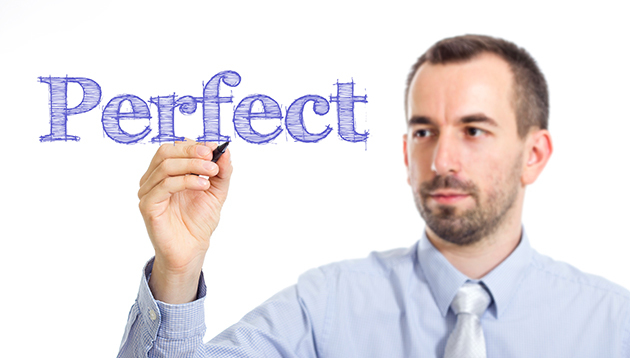 Perfectionists are not better or worse performers than non-perfectionists. However, there is a not specific reason for the absence of the relationship. Universities from China and Singapore dominate the top five places, with National University of Singapore being first. ..